Xbox One release date confirmed as November | What Hi-Fi? 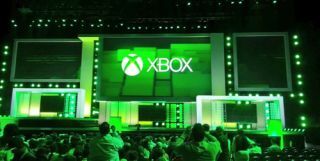 The Microsft Xbox event at the E3 games expo in Los Angeles is happening right now and the Xbox One release date has been confirmed as November. The Xbox One will launch in 21 territories around the world and comes with a price of £429 in the UK ($499 US and 499 euros). Various UK retailers had previously leaked that the Xbox One release date would be November 30th, with a price tag of anywhere between £400 and £600. Microsoft has also today announced a new Xbox 360, on sale today, with a new design based on the Xbox One and with new games at launch. Xbox Live Gold members will also get two free Xbox 360 game downloads a month. Xbox also revealed more details on its SmartGlass app, which allows you to stream content between phones or tablets and your Xbox and TV screen. Xbox has announced a partnership with Twitch TV, allowing you to instantly live stream your gameplay to other devices and people. The platform is embedded within the Xbox One, allowing you to share video of gameplay direct from your Xbox. YouTube is currently a huge platform for gamers to share videos, so Microsoft is clearly hoping to take a chunk of this action. Microsoft also announced changes to its Xbox Live platform, which is how users connect online and play games and stream music and movies. Previously using Xbox Live points, this will now change to your local currency AKA real money. New games included Battlefield 4, which will run at 60 frames per second (fps) on the new Xbox One, plus Dead Rising 3, Forza 5, Halo and Minecraft. We're hoping for more official details on the new Xbox One, but what we do know is that the first Xbox with a Blu-ray drive, plus HDMI connections, voice and gesture controls and a renewed focus on live TV.